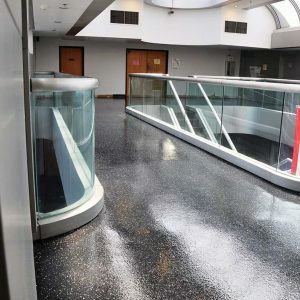 Quartz & Flake - Decorative Concrete, Inc.
Quartz coatings are durable and versatile making them a great solution for business settings. 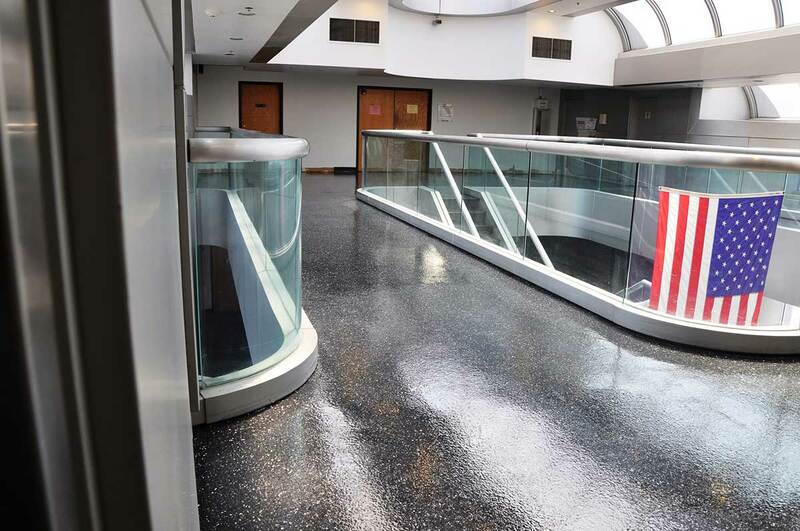 These systems use bits of material, broadcast during the application process, to add texture and color to the floor. 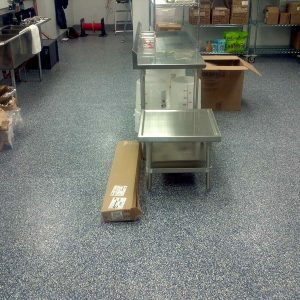 The Flake system uses tiny bits of plastic. 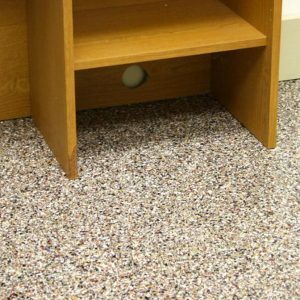 Quartz uses sand. 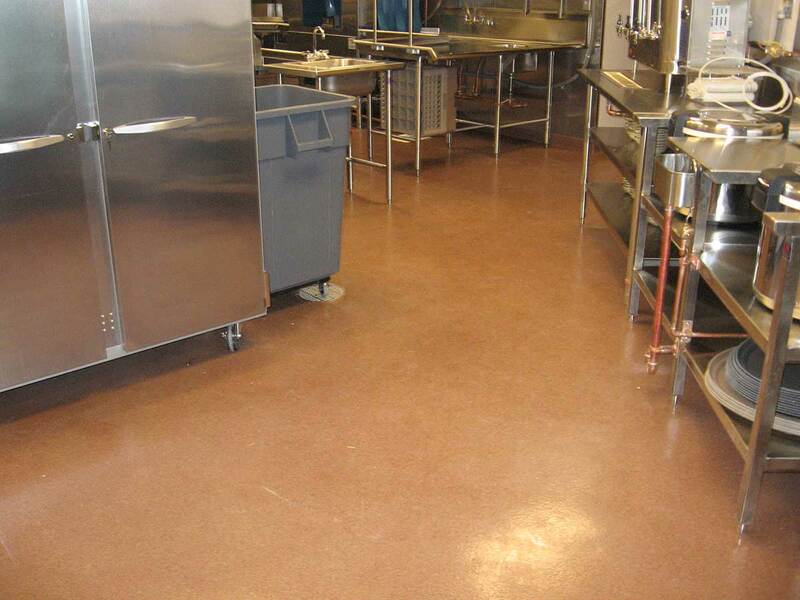 The non-skid surface comes from using colored flakes, silica or sand within the coating installation. 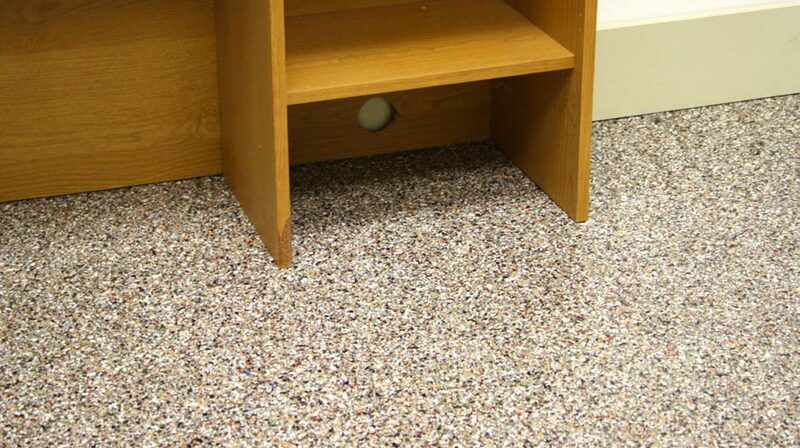 And you have a wide selection of color combinations from which to choose, from grays and browns to pops of color. 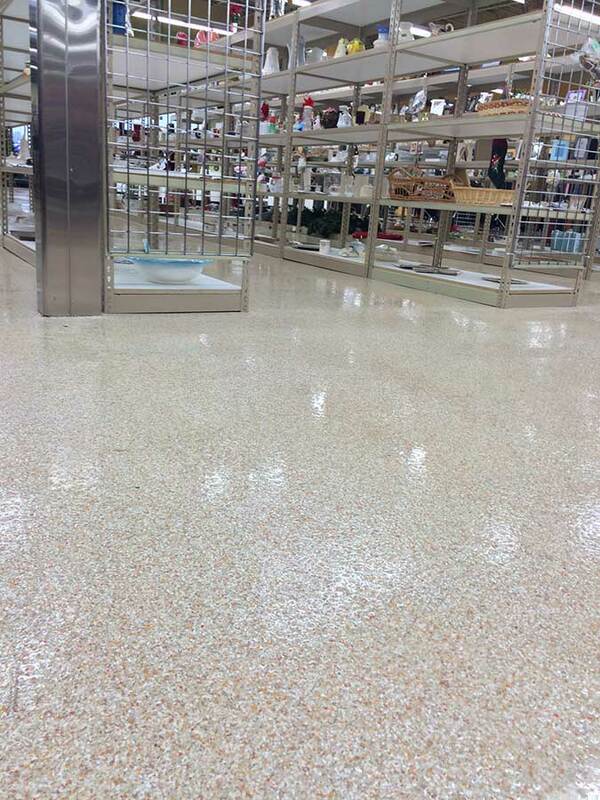 Of course, it’s easy to maintain and can take a tough beating, so you can use it in retail, industrial and commercial facilities. 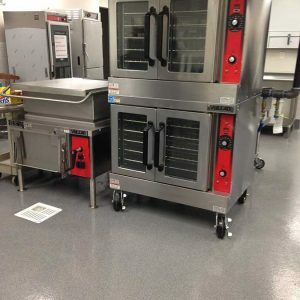 And it’s cost effective for even large spaces such as warehouses and manufacturing spaces. 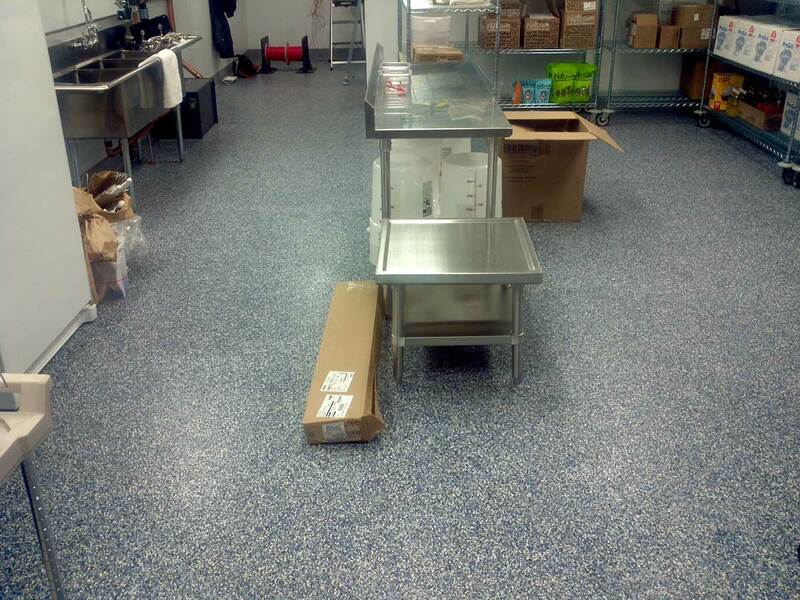 Quartz systems involve epoxy, sand and urethane to provide a very durable coating with excellent non-skid properties. 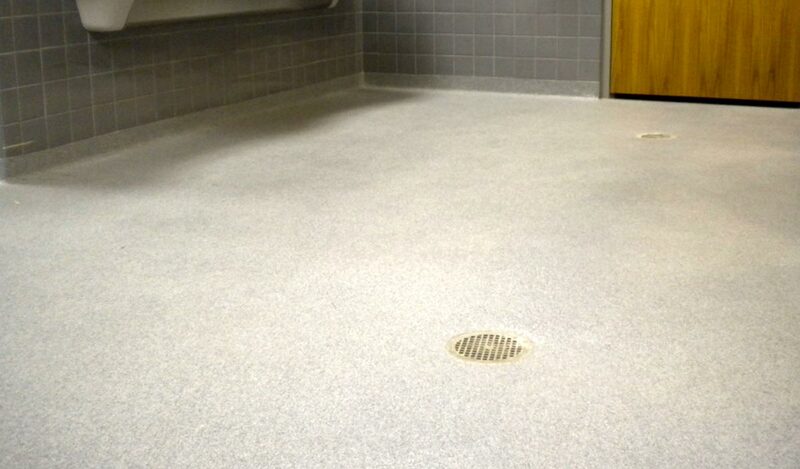 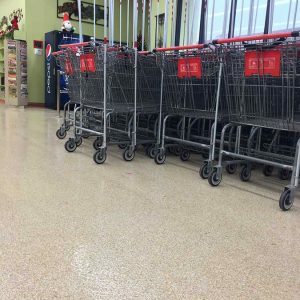 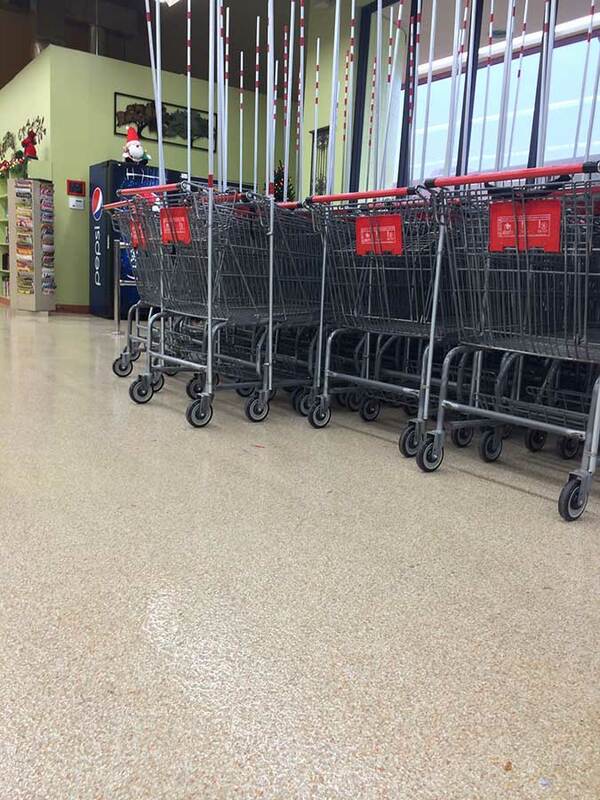 This makes it a great floor for wet areas which see moderate to heavy traffic. 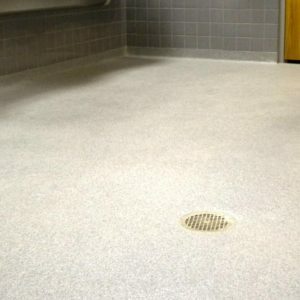 Consider this system for bathrooms, laboratories, utility closets and other industrial applications. 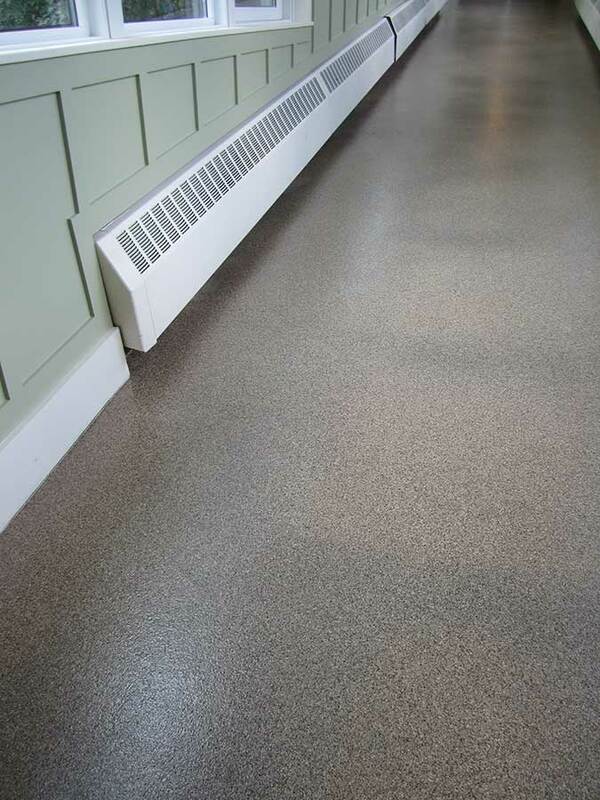 As the flakes are larger than the sand in quartz floors, the colors is the flake system are more distinguishable. 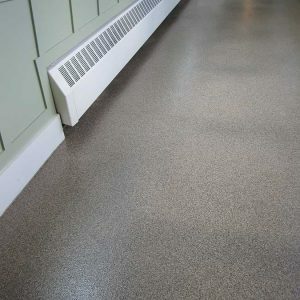 There are endless color combinations, including specialty flakes like metallic. 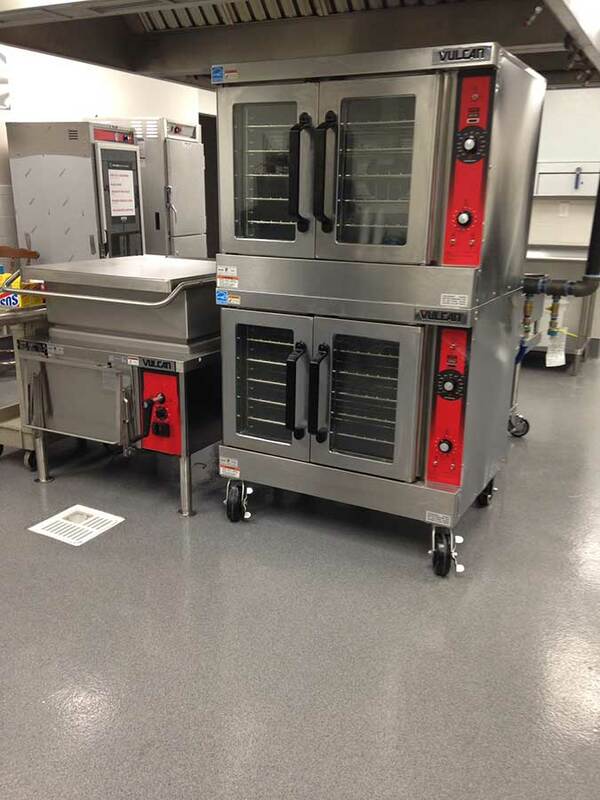 This type of system is very popular for car dealer showrooms, restaurants, and public bathrooms. 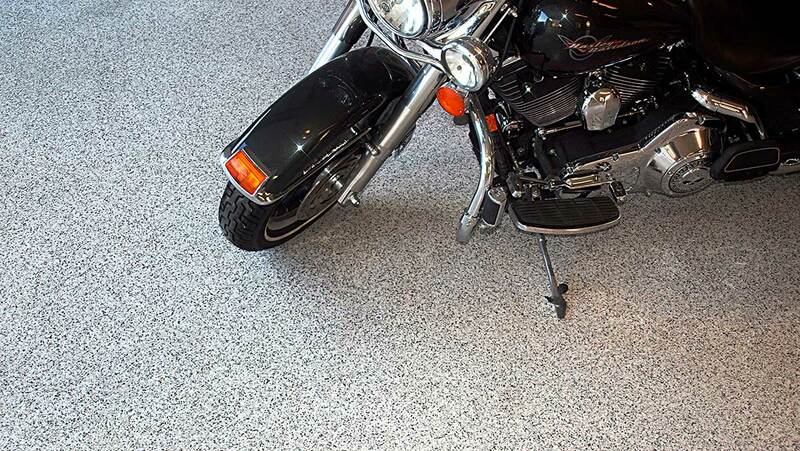 Epoxy Quartz is a another great option for high-traffic areas. 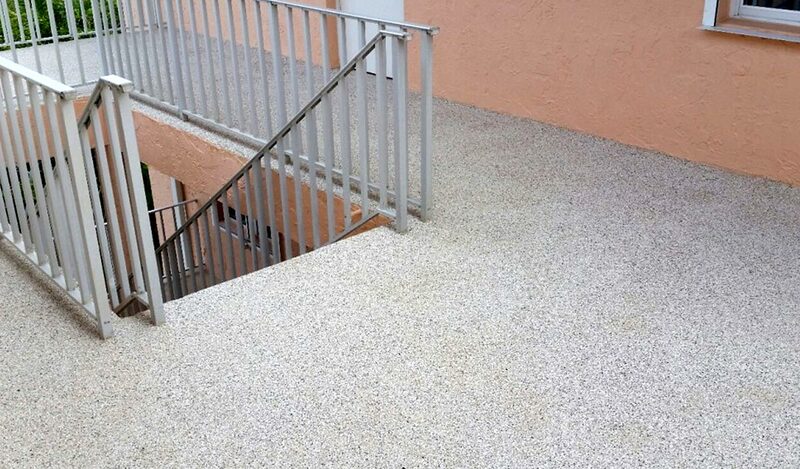 This coating also starts with a high-quality resin then uses small bits of silica or sand to bring in color. 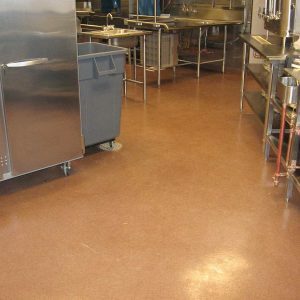 Color combinations range from subtle neutrals to vivid hues so your design options are only limited by your imagination. 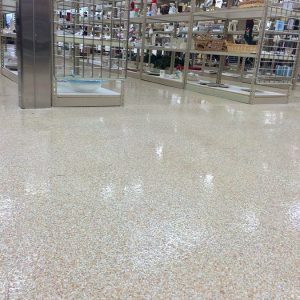 Epoxy Flake is well known for its durability in high-traffic and high-use areas. 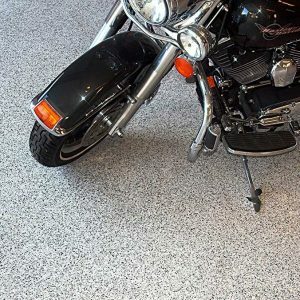 Used for years in garages and basements, this coating brings a nice finished look to those spaces that are often overlooked. 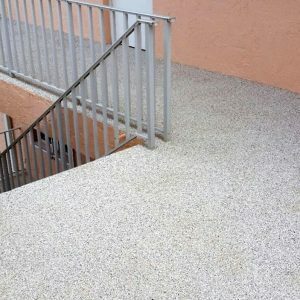 Some even say the flake coatings look like terrazzo, so you can get that high-end style without the high-end prices.